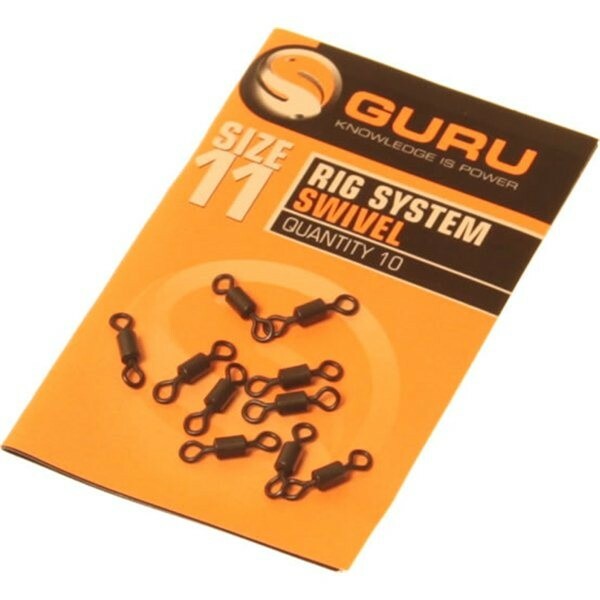 These swivels have been designed to be used in conjunction with the entire Guru range. They’re super-free spinning, which will help avoid unnecessary line twist on the retrieve. They have been coated with an anti-corrosion black-nickel finish, which is really hard wearing. Looking to buy some Float / Feeder Terminal Tackle as part of a fishing gift? If you would like some advice on purchasing Float / Feeder Terminal Tackle, simply contact our expert fishing team, giving us either an email or phone number on which to contact you and we'll get back to you right away with the best advice and prices. FREE Delivery on all Guru Float / Feeder Terminal Tackle over £100!! !